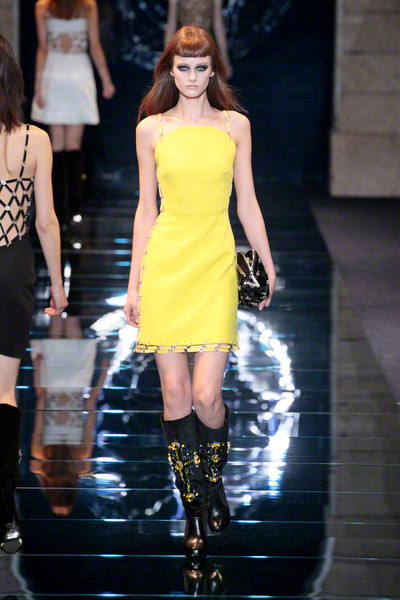 The models in the Versace show looked dangerous. 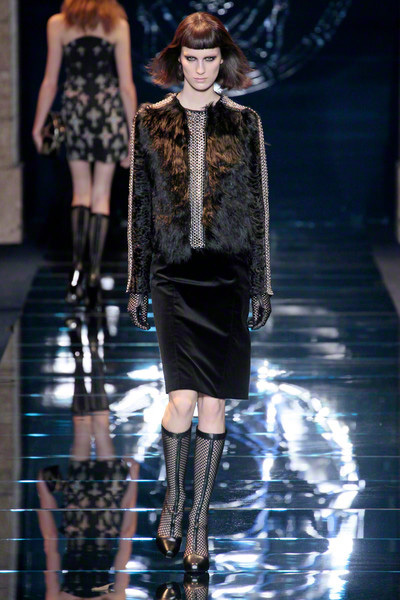 Or, like many fashion-editors said: like actress Rooney Mara in her performance as the Girl with the Dragon Tattoo. 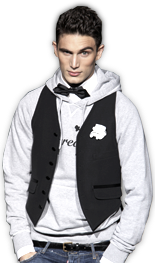 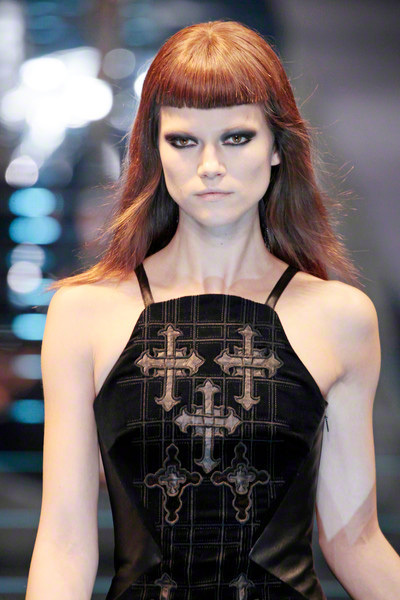 The clothes were all gothic drama, dark and underground. 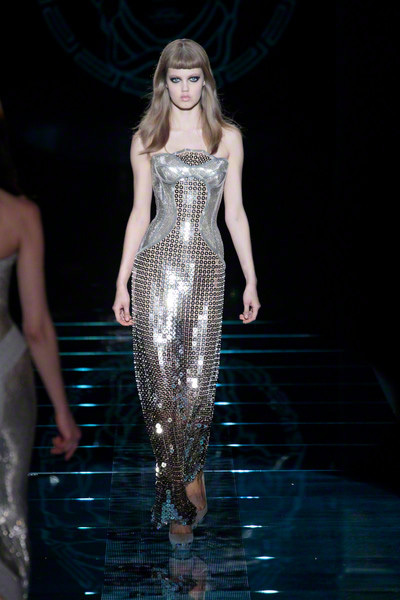 There was no sparkle of sunny glamour. 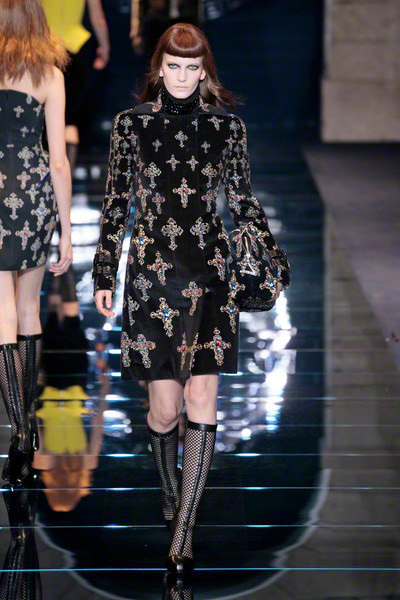 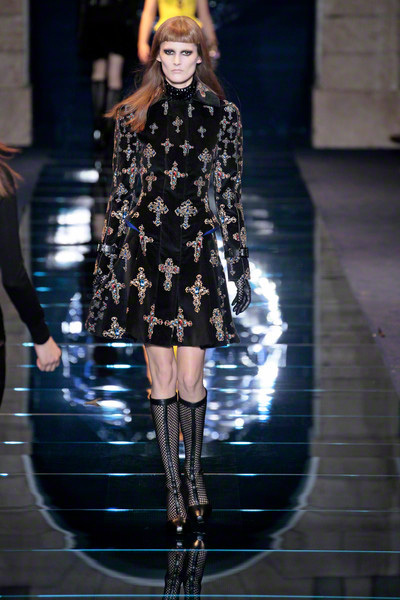 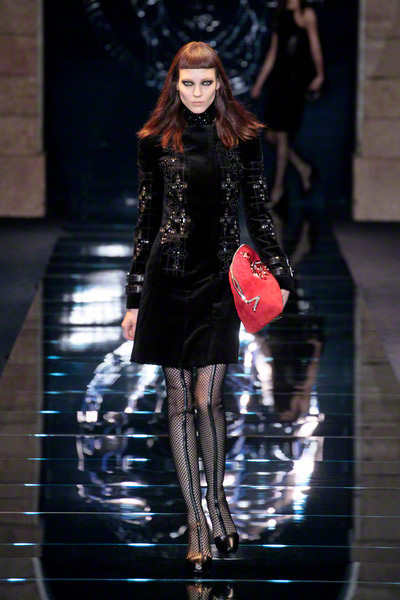 The show opened with two black velvet dresses — one covered up, one bare — both embroidered with leather Byzantine crosses. 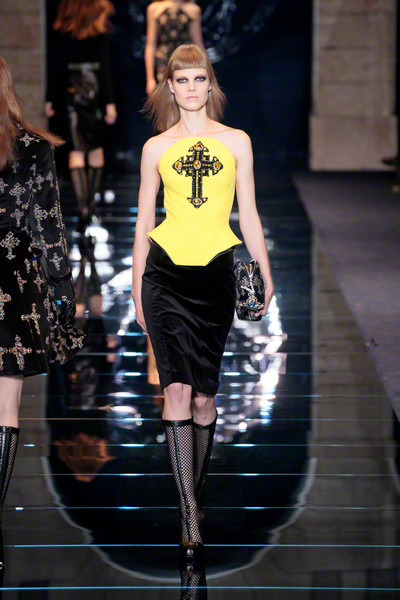 The crosses appeard small and big, in the middle of a corset or at a breastplate. 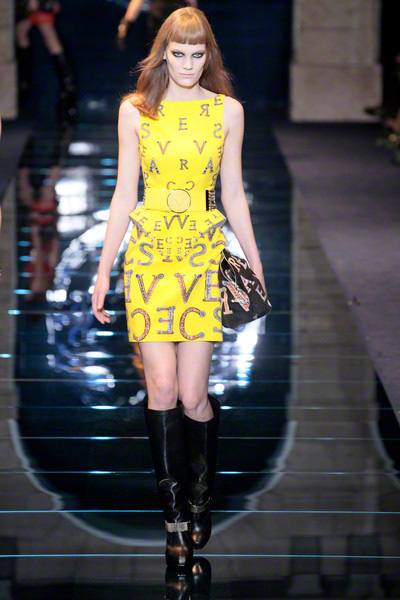 There wer some colorful prints, letters that spelled V E R S A C E. It looked a bit cheap. 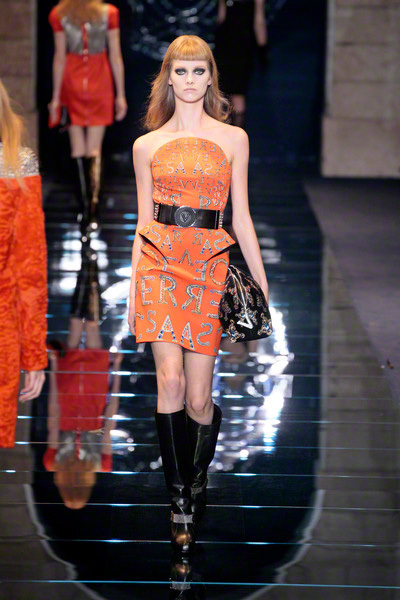 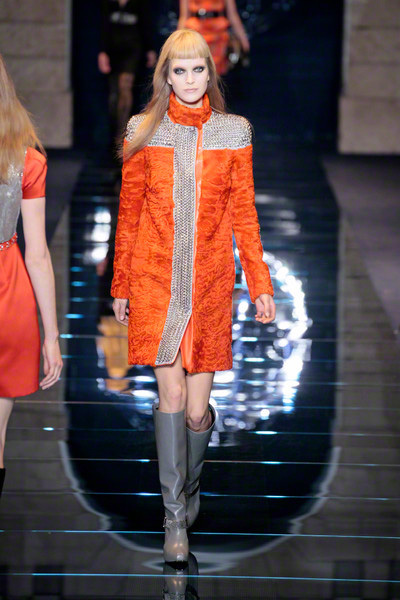 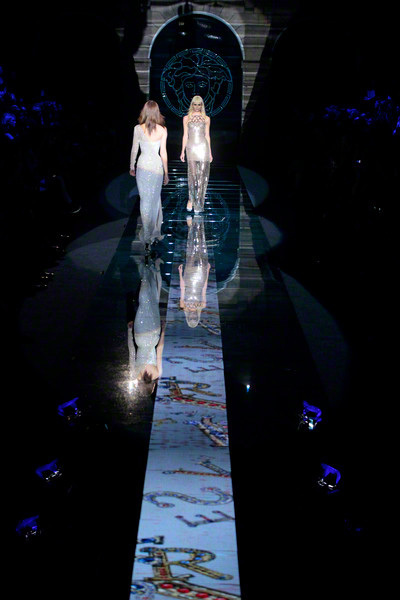 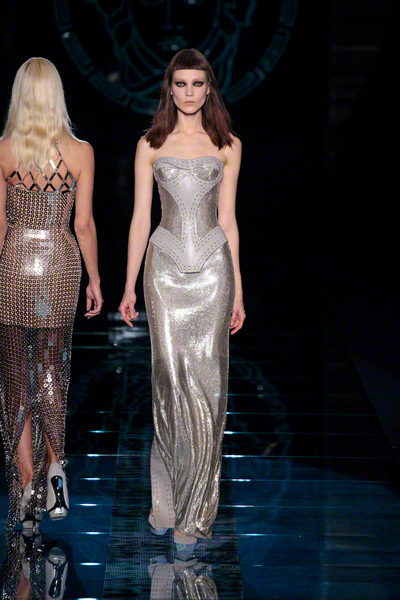 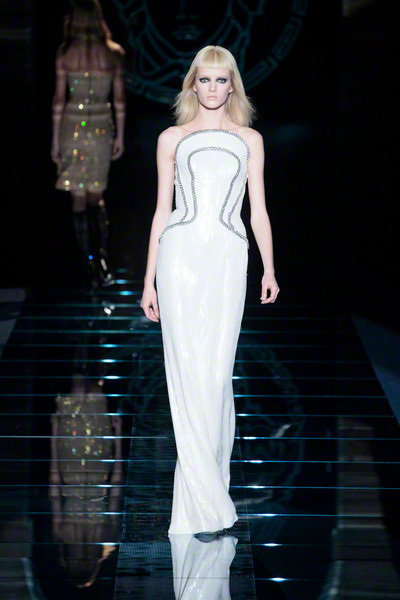 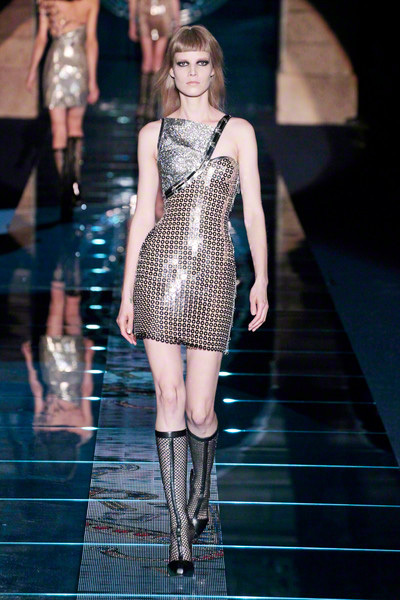 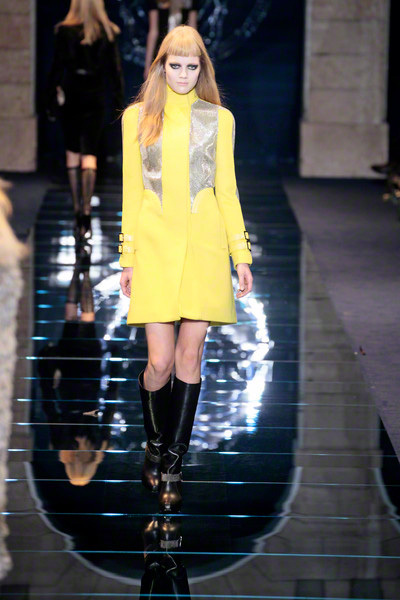 More Versace were the chainmail dresses and open metal mesh – it gave the models an air of savage crusaders.